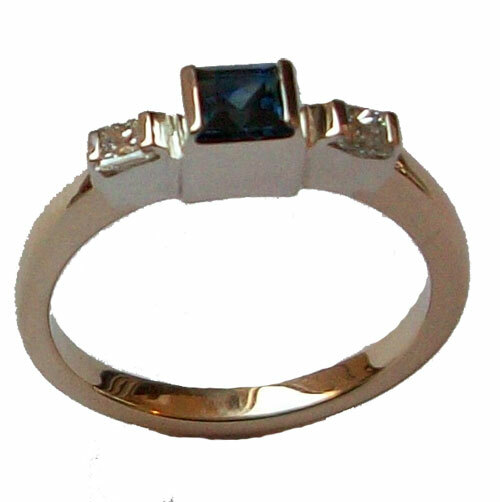 The Cruachan ring with a 9ct Yellow Gold shank set with a Sapphire centre stone with two shoulder Diamonds in 9ct White Gold. The centre stone is 4mm X 4mm and the side stones are 2.5mm x 2.5mm. The diamonds we use are S1 quality.